Visit Horoscope Compatibility for Libra or more compatibility analysis. The following is the detailed comparative analysis of the compatibility status of Libra with other signs. They share an average level of compatibility. Aries demands total commitment while Libra prefers someone who is less demanding. Libra is objective and impersonal in judging people and situations. Aries is over-enthusiastic, egoistic, personal, prejudiced and intolerant of opposing views. Such an attitude is likely to adversely impact the personal equation in relationships in the long run. While Aries thinks that Libra is weak and brackish, the latter views the former as self-centred. The relationship between these two signs is unlikely to be a successful one. They do share common interests but are likely to fall prey to ego clashes.Libra and Taurus make for an auspicious and promising relationship. Both Libra and Taurus are peace loving, sincere, warm-hearted and genial persons. As with all human beings, there are minor differences as well. While Libra is more social, communicative and fun-loving, Taurus is rather silent and loves to withdraw into their own world. Both the signs are passionate, artistic with an intellectual bent of mind. They are well-equipped to sort out any minor differences that crop up and so this is an ideal match. Both Libra and Gemini are intelligent, shrewd, fun-loving, witty and sociable personalities.. But while Libra is honest, dependable and sincere, Gemini may, over the time, tend to compromise on integrity and seek alternative sources of fun. There is not much compatibility between these signs – Cancer is emotional while Libra is intellectual. 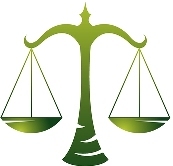 Moreover Libra may find it difficult to handle the mood swings of Cancer. Both Libra and Cancer are kind, sincere and considerate about each other’s sensitivities and the need to maintain love and warmth in relationship. Temperamental differences, however, do crop up sometimes. While Libra is rational, objective in judgments, Cancer tends to be rather subjective and emotional to the discomfiture of the former. Both these signs complement each other and so can enjoy a fruitful relationship. Both are romantic persons, but while Libra may be a little mild and temperate, Leo may generally be more intense, passionate and demanding. Libra may try to compromise on their feelings to comply with the obdurate demands of Leo. This equation may, however, not last long as Libra may start protesting and insist on fair dealing. Libra is outgoing while Virgo is more reserved so there are bound to be clashes. Both these signs don’t share a very high level of compatibility. Libra and Virgo are likely to build a warm and lasting relationship with minor adjustments. Libra remains, by and large, non-reactive to the perceived weakness and clashing opinions of Virgo who is quite often fussy about the nitty-gritty of minor issues. Virgo too, on their part, strives to accept Libra’s illogical emotional needs and preferences. Libra is aggressive and passionate and so two Libras together exhaust each other. So this is not a very good match. They always strive for the best and perfect and also crave for appreciation for the help they provide others. Differences may crop up when they do not give appreciation to their partner although you expect the same from him/her Moreover, craving for appreciation may prevent their from expressing unpleasant truths which are likely to damage their relationship at some point of time. Scorpio is a possessive and jealous by nature and at times can be quite unforgiving. Libra, on the other hand, is carefree and easy going and so chances of clashes are high. Libra and Scorpio differ from each other at emotional level. While the former is mild and temperate, the latter is extremely intense and passionate. Scorpio is likely to become more possessive while Libra may hate to be thus taken over. A line may have to be drawn in order to maintain a balanced and sustainable relationship. Sagittarius is fun-loving, independent and adventurous while Libra is clever, intellectual and charming. They can share a harmonious relationship provided they are willing to work upon their conflicting traits. Libra and Sagittarius are both fun loving and sociable persons. But while Sagittarius is more zealous and adventurous in seeking fun even in unknown terrains, Libra may plead for a little restraint and caution in chasing wild dreams. The clash between realism and idealism may, sometimes, cause problems which are most likely to be sorted out amicably. Libra is quite easy-going as compared to Capricorn and so there may be some adjustment problems between the two. Libra and Capricorn can enjoy an enduring, loving and sincere relationship. While Capricorn remains practical and grounded to earth, Libra, too, is not a hi-fi flier. They can overcome any clash of interest, howsoever, strong it may be through amicable, open-hearted and empathetic negotiation. Both signs compliment each other and can share a healthy relationship. Libra and Aquarius can develop an excellent bond with each other. While Libra strives for the best in everything, Aquarius can cooperate by offering all help, encouragement and appreciation. Both are physically, emotionally and intellectually compatible with each other and there is a little chance of any serious clash of interest cropping up between them. Both Libra and Pisces are kind, gentle, sincere and cooperative. But while Librans are more extrovert and open-hearted, Pisces generally remain a little silent and reclusive because they are not very articulate and communicative. These minor issues can, however, be easily sorted out to prevent misunderstanding and bitterness in relationship.The attraction between these signs is likely to wear off over a period of time and so they are unlikely to have a long term fruitful relationship.